Hello, our lovelies. Our absence has been an eternity (not really…but yeah a long time it has been). And we have finally returned. During our absence we have been busy growing up. Adulthood has bought on many responsibilities, pressure and all things not nice. The focus of our lives turned to studying, work and socialising with people that enjoy talking about studying and work. This had unfortunately led us to do more of what is “useful” and less of the things we love, one of which is of course blogging and being with you all. It is for this reason that we have decided to make our comeback post with a review of the book that reminded us of what is being forgotten by many grown ups…happiness. Tanya, Shanya, and the Big Sister . Where new and old ideas collide. TwinBookmarks was created on the 9th of April 2017, on a spontaneous urge to document our experiences with the written word. with little to no structure. Like we said… it was immensely spontaneous. Well now it is 2018…July 2018. We are changed beings ready to take on the world. With every ounce of our being, we will abide by our schedule with a great deal of intensity. We plan to stick to our plan 😉. So without further ado… onto the heartwarming summer read ‘The Little Prince’ By Antoine de Saint-Exupéry book review. The most translated book in the French language, is a great read for both adults and children. It is thought provoking and riddled with deep meanings that would stimulate the mind. 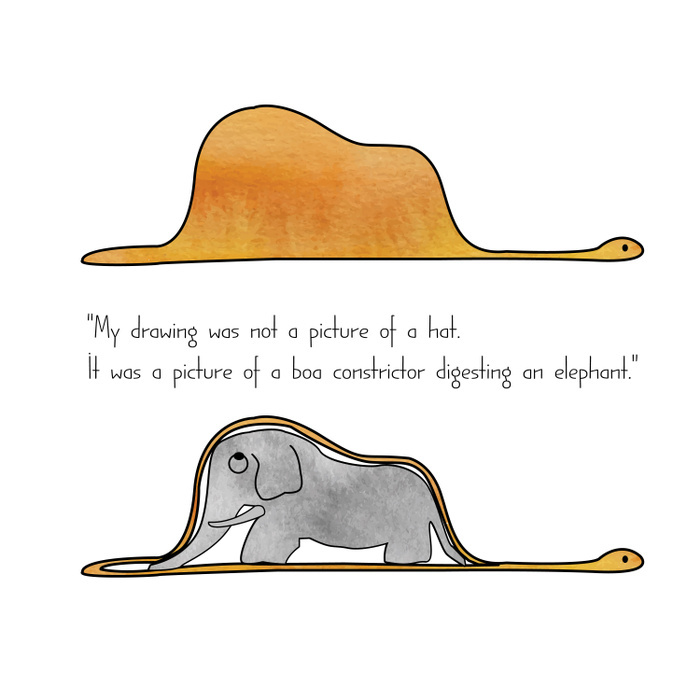 Everyone interprets this book differently…so here’s our little review. This book is extremely close to the Big Sister, so it was through her that we came across the little prince. Therefore this review will have a large input from her as not to do this book any injustice (you may notice a different writing style in this review). The book sure did not disappoint! It was the perfect read to get us out of our reading slump (subsequently due to the stress of daily life and education)! This children’s book did not start with ‘Once upon a time’. No – it had started with the narrator, who is an Aviator reminiscing of his childhood desires of becoming an artist. Two Pictures that reflected his wild imagination as a child of which both pictures were critically assessed by adults. His interests shown in the drawings prompted the adults to discourage the young aviator from drawing. Strangely enough, while reading this we felt more connected to the adults than the narrator. For in real life situations, we too would probably discourage little ones from drawing predators digesting their preys. It became clearly evident that the Aviator clearly disliked the notion of adulthood. Rather than complaining about how adults socialised and acted, the narrator just stated what he saw in a sassy way. For example, the idea that only the useful had a place in society clashed with his mindset but was very prominent in the adults that surrounded him. The focus on figures and facts was what made the perfect human. As a result he found it not too shocking to see himself with little to no friends – as to hold up a conversation with an ‘adult’ on getting to know them better, he would have to resort to answering questions on age and wealth rather than personality. This character had redefined what it meant to be an adult. To be an adult is to disregard imagination – a key link to childhood. The aviator then progresses from his early past to the main event in his life in which he crashed in a desert with his plane only to meet the Little Prince. This prince usually intrigues the reader at first read with his questions and logic. Presumably the aviator saw his past self in the Little Prince who never ran out of questions to quench his curiosity. The Little Prince then proceeds to share his story of his journey to Earth. Throughout this book we meet individuals such as the Businessman and the Geographer whom become fine examples of adults that the Aviator had so come to detest. As the Little Prince ventured to the neighbouring asteroid planets, he comes face to face with “odd” grown-ups. The Little Prince, always with an innocent question at the tip of his tongue (representing childlike curiosity), finds it hard to accept adults and their neglect for simple beauty in their surroundings, instead engrossing their time in “serious matters”. Reading the Little Prince’s adventures made us realise how much we have grown up, and just like the Aviator we experienced a sense of guilt when he too realised just how much of an adult he had become, disregarding the imagination of a child and instead focusing on matters of the adult world. While reading the story, the little prince seems more strange than the adults that he encounters, making us realise that on the path to growing up, we come to see what is strange…as normal…and vice versa. 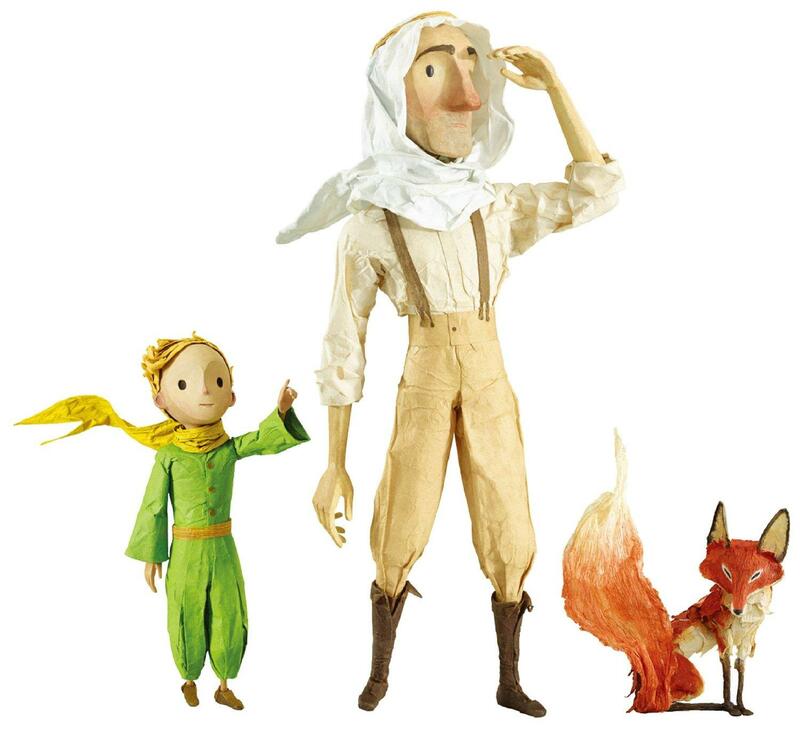 The Fox on earth is somewhat of a guide for the Little Prince – who learns the true value on making connections with others and valuing their uniqueness. It is through making meaningful connections and making the time to form relationships with others that make the individuals we meet unique and special to us. The Fox wished to be ‘tamed’ so as to become unique amongst all the other foxes – saying to ‘tame’ one, is to form connections with the other so they can be special and loved by making them unique. The ending was truly quite sad if thought about too long despite not out rightly stating- the price for the Little Prince to get back to his ‘planet’ would be his death. Some of us choose to ignore this little blip in the story and believe he reached his home planet, to his beloved Rose. One can only hope. Growing up usually includes being told what not to do…but when faced with problems, no one seems to have anything to say then. We lose our dreams of being a space pirate, of being an adventurer, and in the Aviator’s case being an artist. We are blinded by the burdens of adult responsibilities, the urgency to adapt and conform to society that we ignore the beauty in a rose and in meaningful relationships. This book was honestly beautiful, simple and sweet, it resonated with our inner child. The reason this book did not receive a solid 5-star rating is that a message from this book – ‘adults losing imagination and obsessing over meaningless things’ is overgeneralized to all adults. As it is evident that all adults are unique and thus cannot be generalised. Not everyone would have succumbed to the pressure like the Aviator had done. For example – we are blessed in life to have such a wonderful family. We siblings support and remind each other to not get lost in a maze created by lost people. Overall, we thought this book to be a great read for any ages. whether you want a deep meaning from the story or just want to a good book to stimulate your imagination. We push you all to read this book (if you have not done so already) and take a break. For the main aim in life is to be anything….just not the big scary business man haha. Have you read this fine book before? Or have you watched the 2015 animation adaptation? How did you interpret the ending? Let us know down in the comments below! Welcome back! So happy to be reading your posts again. ☺️ This book’s one of my favourites too. The illustrations are wonderful, as is the message. I believe it to be a reminder to never lose sight of what’s important even as the years passed. I haven’t seen the adaptation, but it’s on my watchlist for sure! The illustrations has a certain charm to them and the message is one people should live by when lost in the world of work.